I am beyond excited for today! I hinted at this last week, actually with a promise of this happening last week. However I needed a little more time to get it all organized. First of all, let me slow things down, hi, how are you? How was your weekend? I did a ton of crafting and working on projects around the house, when I am in the zone I get things done. I also created a YouTube channel for Our house now a home! I plan to share simple videos of the crafts I share here, maybe a few behind the scenes video’s, clips, and more. I am still fine tuning it all but have a very exciting debut planned for this. 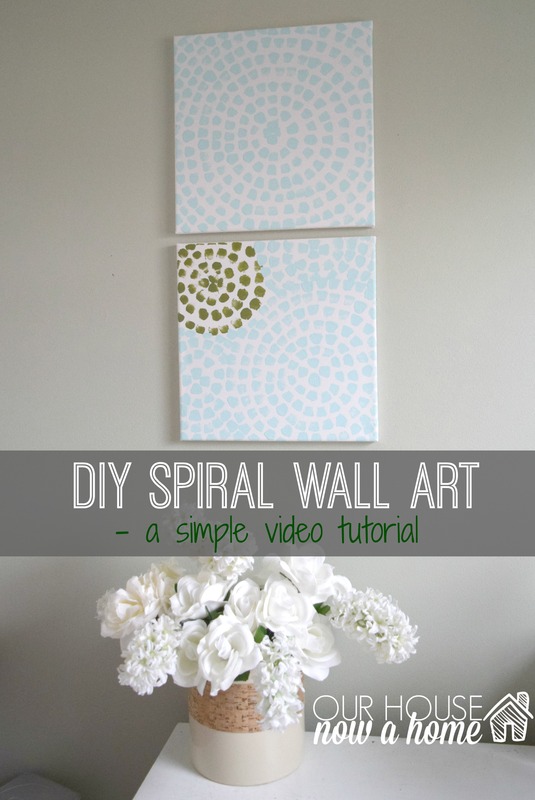 Today is all about the Spiral wall art video tutorial & giveaway. One of my biggest repinned items are these two spiral wall art pieces I made last year. They sit in Dale’s office and he said a lot of people ask about them and comment on how much they love them, which is funny to me because they were so simple to make. 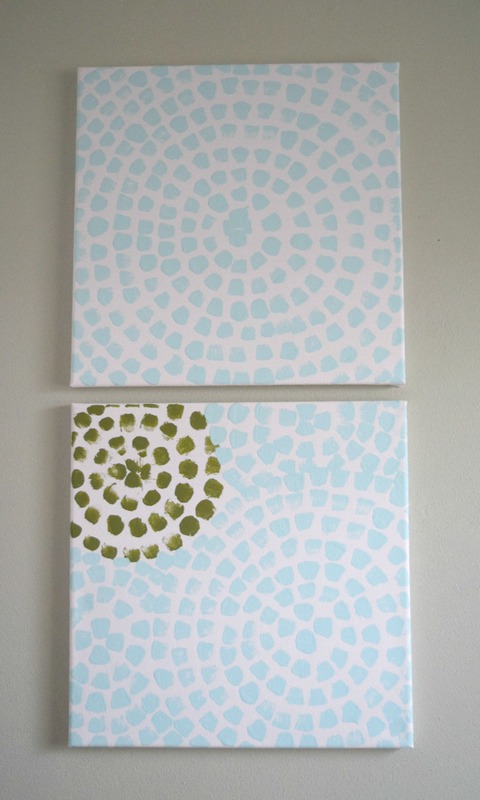 I mean, let’s be real… I am no Picasso, simple wall art is all of the tricks I have up my crafty sleeves. They are also really fun to make so I knew I wanted to create some more, with bolder colors to have in my home. Then I thought it would be a great way to share a simple video tutorial, a way to introduce myself into the video blogging world. Which is something I have been wanting to do but was not sure how to break in. This is officially it! The information and entry into the giveaway is towards the end of this post if that is what you came here for. 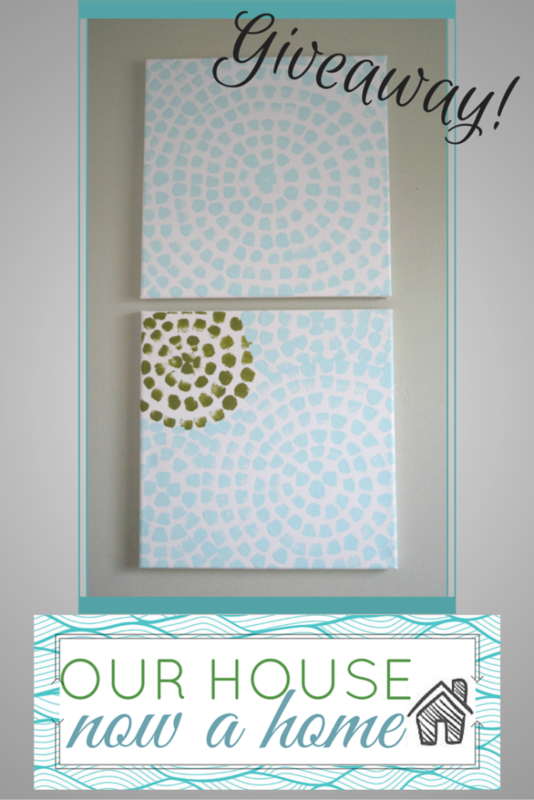 I created these bright and colorful spiral wall art that have a turquoise and dark green theme. As you can tell from my home, these are my colors and I adore them. Instead of doing the usual route of the step by step written tutorial I created a video. All with happy music and sped up sections. I am not in the video (aside from my hands), that will come I am sure. I just need to learn to get some personal style, actually do my hair and makeup and decide my speaking voice does not sound horrible. I think I will get there. Tell me I am not the only one that cringes when they actually hear their voice on voicemail or a recording? How can people stand to hear me talk? Ugh! 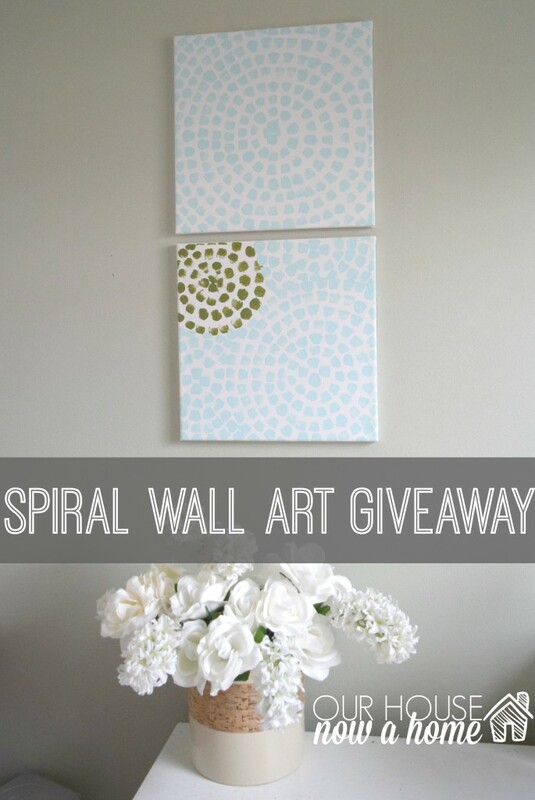 Anyways, the fun part about this is I am hosting a giveaway where you can enter to win you own square shaped spiral wall art. The winner can either have these two or select another color option and I will custom make them! I am really excited about this new idea and plan to have a ton more video’s and giveaways. The great thing about this is everyone has a chance to win, or can watch the tutorial and make one of their own. Guy’s, this is a legit win/win for sure! All you have to do is enter to win! Then the winner will be contacted and can either select these two wall art pieces or custom ones with a different color scheme! If you are more of the DIYer versus the winner, which I get, I am the forever DIYer you can simply watch how I made this. 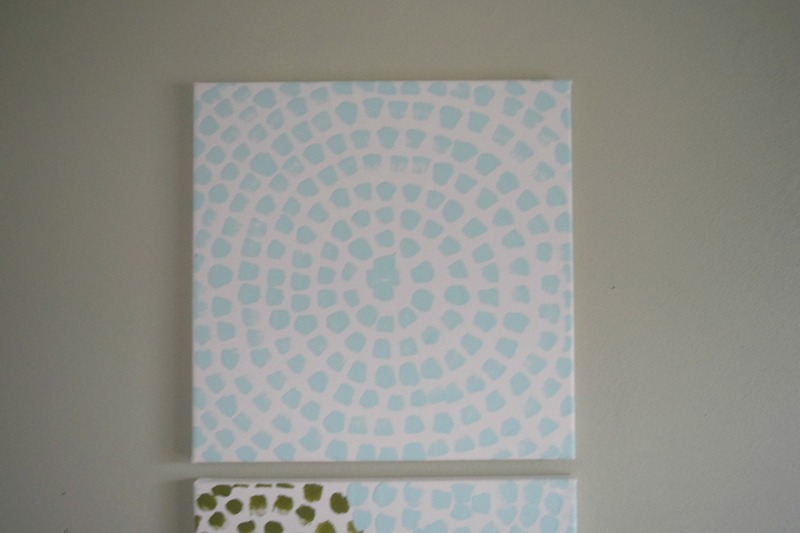 It was beyond simple, fun, and can be done big or small with just your paint color of choice and a canvas. This Spiral wall art video tutorial & giveaway is a really exciting new endeavor for me, I am still feeling out how I will incorporate video’s and my personal craft’s into this blog. But, I am so excited to have you here for this new addition and hope you will be kind while I figure out the bumps in the road. This blog is still new-ish, I just celebrated the 2 year blogiversary. I am finally finding my way, have huge plans and am giddy to get those rolling out! This giveaway is just the beginning, I hope you enter to win, WIN, and then follow along at my new YouTube channel! I would love to see you there! 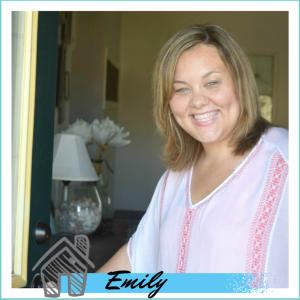 Emily, you did it! So awesome, the video and art is great!!! Thank you! The video was really easy to set up and do. It took a little time cutting it but nothing that I am not used to since I tend to edit my pictures with at least brightening them up. I have has amazing results with this video on my social media, you should give it a try! I love your blogs and all the creativity you have. 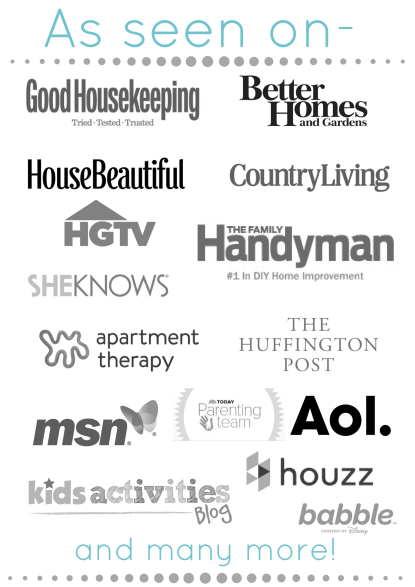 Happy blogiversary! Hi! Thank you so much for saying those sweet things, it would be fun to get together! What a great way to decorate the walls. Perfect for getting the exact colours you are looking for to compliment the room. It is a great way to decorate, low cost and simple! Those are GREAT! I love how they came out and I think they are just awesome. Great job! Ooh, I need one of these for every room in our home! I’m not all that artistic, but I might actually be able to handle this. Thanks for the video! 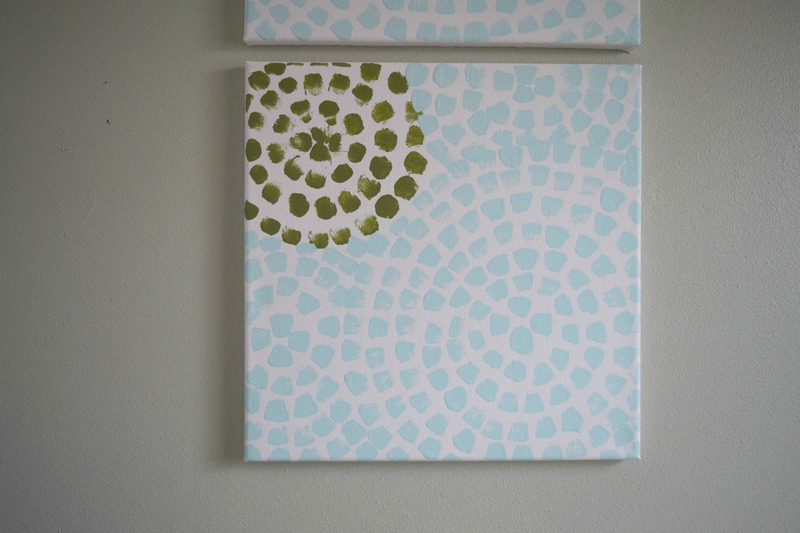 These are so simple to make, just push the paintbrush down on the canvas, give it a try! I love the colors you chose! Those colors and design work really well in any room! You did a great job on them! Thank you! I love decorating with those colors in my home too! I love your wall art! It’s so graphic and can be made to match anything in a room. Great job! This video is perfect and the artwork can make any space more interesting and inviting. I love it. I am glad you enjoyed my video, it was my first video tutorial. I would love to put one or two of these on my walls. I really like the alternative to pictures. 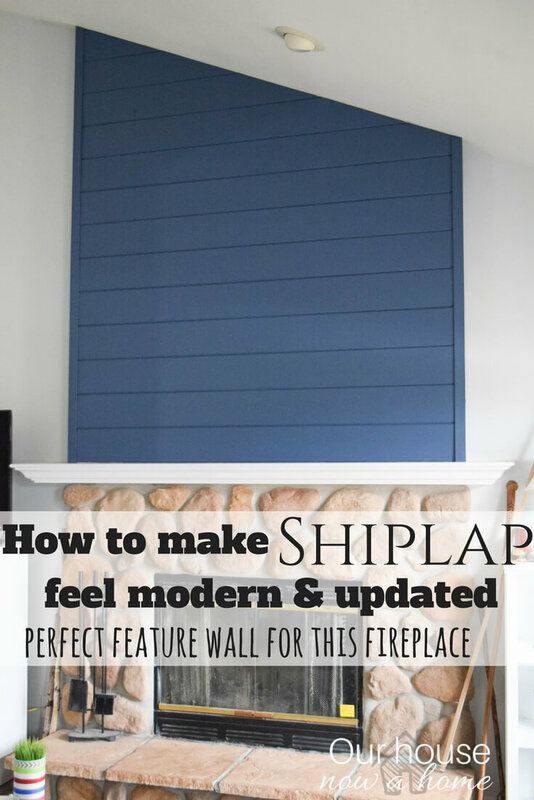 It is a fun way to change up some wall art! Those canvases are so cool! Glad you made a video in case I don’t win. Pinning. Good luck! They were simple to make that if people don’t win they can create some of their own. Cool wall art. I was just talking about redoing my devor. This gives me great ideas. I am so happy you got some ideas! What a refreshing unique way to brighten up any room. Each piece has its own character and I hope I win. The video came out wonderful, Emily! I just love canvas art and nothing like creating them and personalizing them to your favorite colors. I love spending time doing arts and crafts. 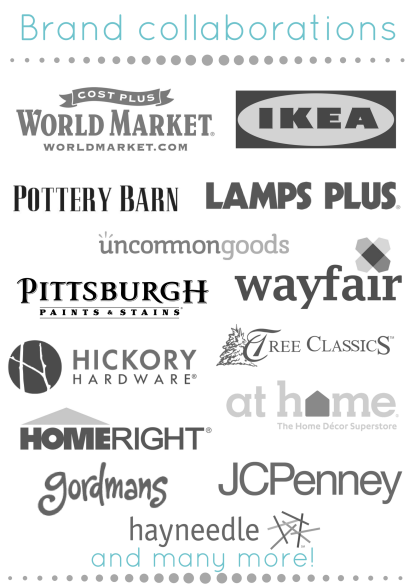 Specifically woodworking kinds. I am all about the arts and crafts! I am just starting to get into woodworking, that takes a lot of talent, good for you! Oh I love these pieces, they are so much fun! I have finally started to add some artwork to our walls, might need to start a new project and whip some of these up! Have fun with it! 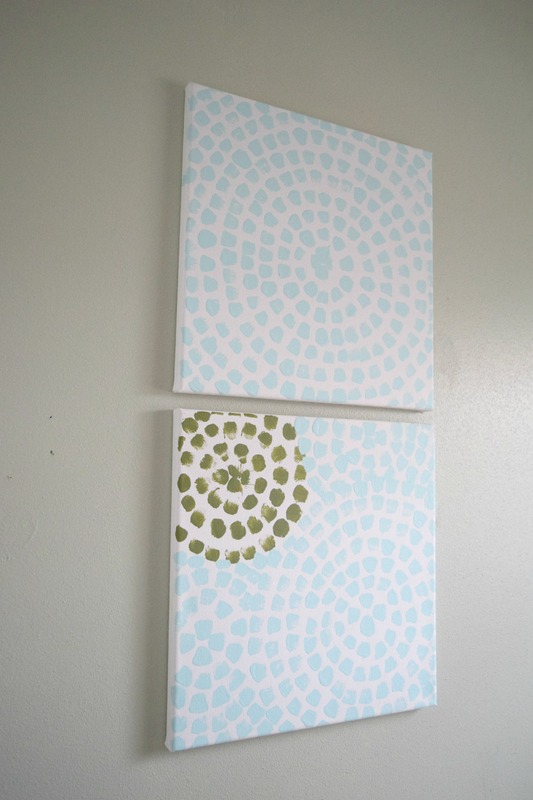 These spiral wall art is really simple to make but can add a lot of fun and color to a room. WOW these look like something you see in a store for purchase. 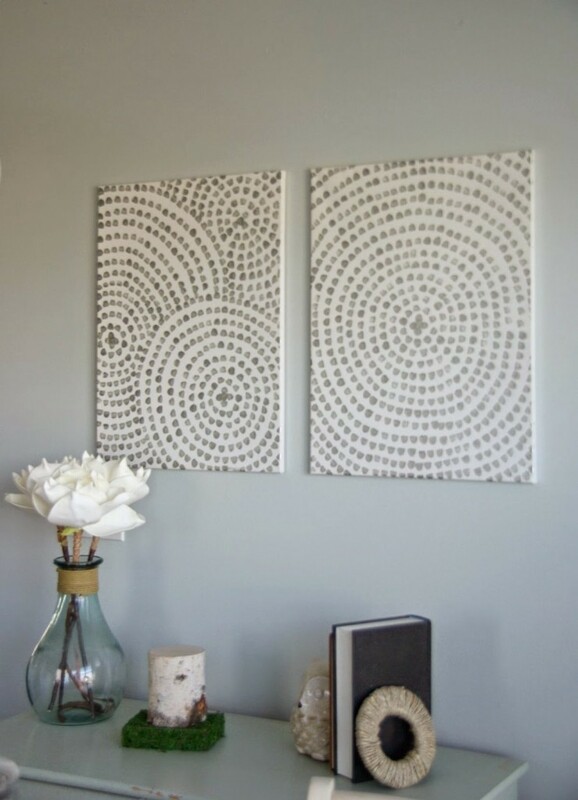 I’d like to give the spiral art a twirl and make some bright designs for the office. Oh wow, thank you so much for saying that!!! My husband has a set I made him in his office at work. Oh wow, I LOVE how these turned out! 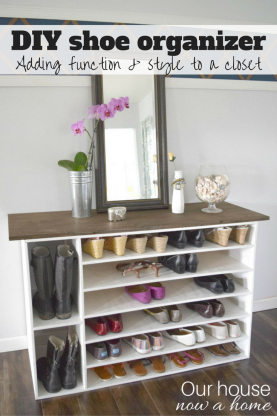 I totally want to do this for my work area at home! Thank you! They are so simple to make and a lot of fun! 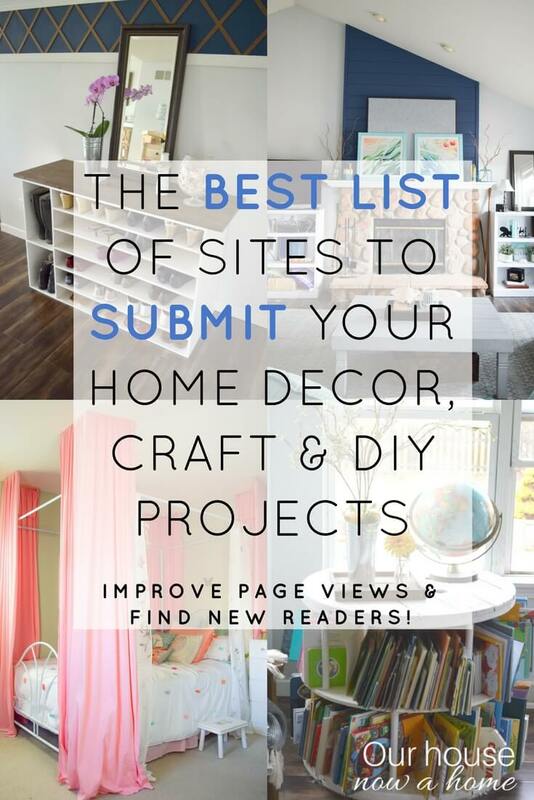 These are so cool Emily, pinning! Those are too cute and I’m loving the look together although I would go for a more pink and teal look since my daughter just LOVES pink. Oh, I love the combination of pink and teal! Do it! 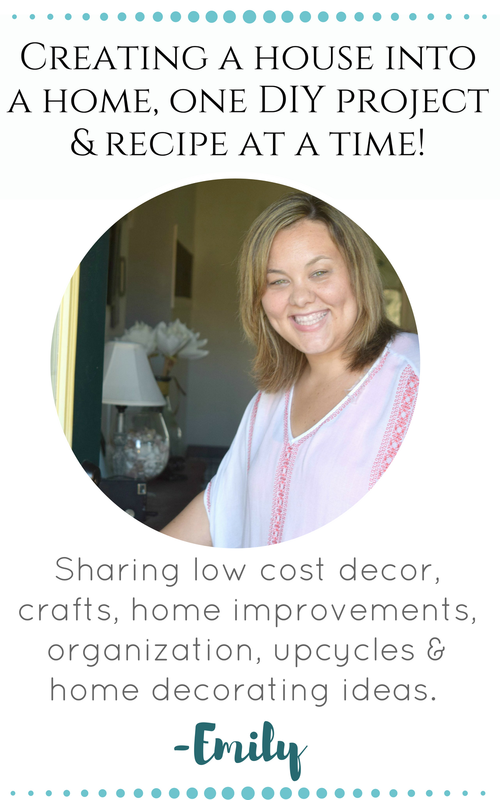 I am happy to inspire you and have you feel the need for crafting! The art and video showing how you created it is great! I love it, it is very cute and simple not too much but not too little, just right! I am so happy you liked the video! I wanted to show the really simple process so others can create their own. That art is awesome! It would look great in my daughter’s room. Thank you! These would be a fun addition to a girl’s bedroom! I really love these, especially the first ones as that color palette would go better with my decor but my step daughter says no way, the second are cooler csuse those colors are more her style. Lol. Anyway thanks for the chance to win, we just bought a new home recently and it’s a lot larger than our old home which means we have a lot of blank wall space that needs to be filled! These would be great for that.